Get bold, seamless cat-eye looks made easy. The flexible felt tip applicator dispenses product evenly and consistently ensuring smooth, no-mess application. 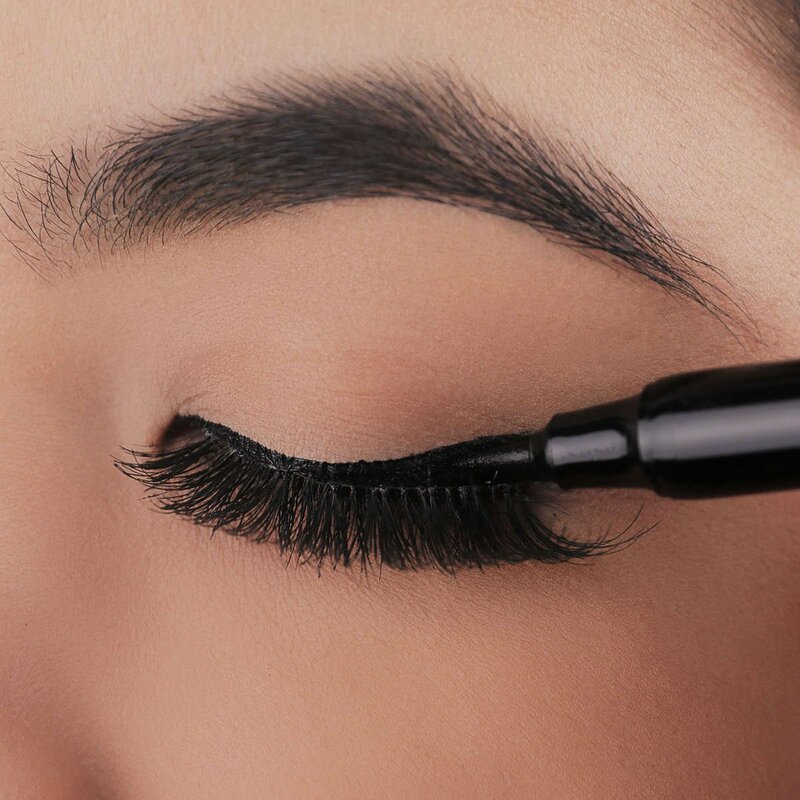 Create looks with just one easy stroke from bold lines to subtle wings. Water, Acrylates Copolymer, PEG-60 Hydrogenated Castor Oil, Butylene Glycol, Pentylene Glycol, Ethanol, Laureth-21, Beheneth-30, Sodium Dehydroacetate, Phenoxyethanol, Disodium EDTA. May Contain (+/-): Carbon Black. Water, Acrylates Copolymer, PEG-60 Hydrogenated Castor Oil, Butylene Glycol, Pentylene Glycol, Ethanol, Laureth-21, Beheneth-30, Sodium Dehydroacetate, Phenoxyethanol, Sodium Polyaspartate, Disodium EDTA, Diiron Trioxide. May Contain (+/-): Carbon Black. 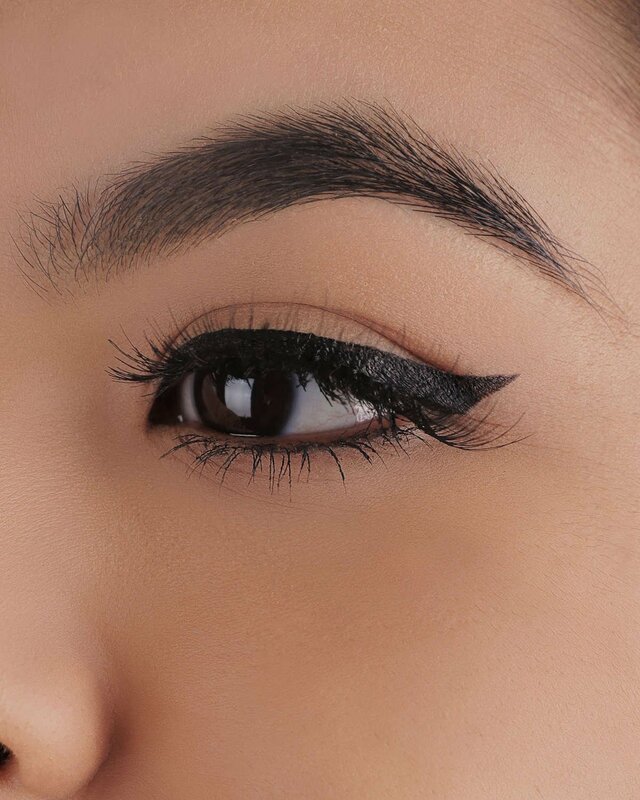 Easily apply eyeliner from bold to subtle wings.